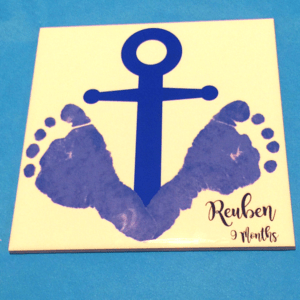 This gorgeous personalised tile incorporates your little one’s feet to make a gorgeous anchor. 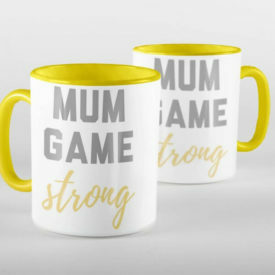 The tile can be further personalised with a name and a special date or age. We can supply a specialised kit for taking footprints. Each tile is sent to you gift wrapped. This gorgeous Personalised Keepsake Footprint Anchor Tile incorporates your little ones feet to make our unique anchor design. The tile can be further personalised with a name and a special date or age. You will also have a range of colour options from which you can select. 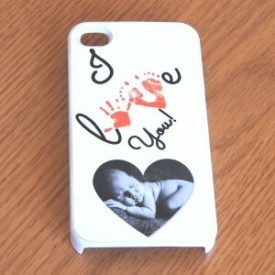 We will try to capture and print your little one’s feet as their actual size. However, when this is not possible, the prints will be reduced in size to fit with the design. 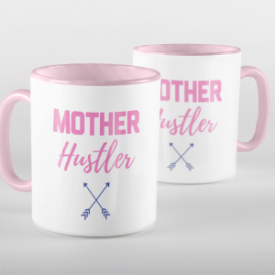 The perfect addition to any home. This tile can be purchased as it is, or added to white cord, ready to be hung around the home. Designed individually in our studio, each tile will be sent beautifully gift wrapped.